Ringke Mobile News – Samsung HMD Odyssey / iPhone 8 Plus Battery Swelling Gate / etc. Leave a Comment on Ringke Mobile News – Samsung HMD Odyssey / iPhone 8 Plus Battery Swelling Gate / etc. Samsung announced that HMD Odyssey will be released in early November. The ‘HMD Odyssey’ is a VR device that can be used to connect with a PC, and it is expected to give an overwhelming immersion feeling compared to the existing ‘Gear VR’. Especially, the new HMD Odyssey is expected to be developed by collaborating with MS (Microsoft) and enjoy various contents based on X-box. Samsung HMD Odyssey has following specifications. Xiaomi’s first Android phone “Mi (A1)’ will be released in South Korea. The mid and low-end smartphone ‘Mi A1’ seems to be very popular in the Indian and Southeast Asian markets due to excellent price and performance ratio. Xiaomi’s Mi A1 will be launched through Mobi’s South Korea at the end of the November. Mi A1 features the following specifications. Google has unveiled Pixel 2 Series in early October, and Pixel 2 Series are equipped with powerful multimedia features, such as stereo speakers and triple mics. Since Pixel 2 shows well performance and has reasonable price, it is expected to be loved by lot of consumers. Especially, the camera performance has been capturing the attention. Pixel 2 Series cameras are equipped with a 1 / 2.6 “large image sensor, and represent impressive detail and dynamic range. Although Pixel 2 does not have the latest dual cameras, it showed a unique presence. Sample photos of Pixel 2 can be found on the bottom link. The Pixel 2 Series feature following specifications. Xperia XZ1 Compact is powered by Snapdragon 835 processor and equipped 4.6 inch display, it seems to be like a drought to consumers who prefer small smartphones. Without ‘Galaxy A3 2016’, there is no useful Android phone with 4.5 ~ 5 inch screen, and the industry expects ‘XZ1 Compact’ to make meaningful sales. Check out the XZ1 Compact Specification below! The iPhone 8 battery is causing a trouble called “swelling phenomenon” and start appearing all over the world. Swelling issue was first reported in Taiwan, and happened simultaneously in Japan, China, Canada and Greece. Apple quickly went through the investigation, but it is still showing signs of failing to pinpoint the exact cause. The iPhone 8 series are known to be equipped with batteries manufactured by “ATL, Murata, Sony, LG Chem, Samsung SDI”. Among those, the ATL’s battery is suspected the most. This battery problem is expected to cause a disruption in the domestic launch schedule of the iPhone 8 series. 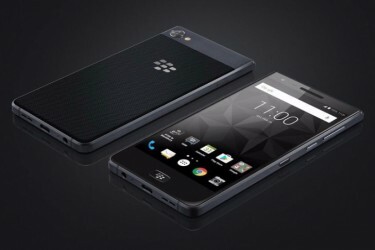 BlackBerry Motion has been released and this new motion is not only equipped with a 5.5-inch FHD display and a snapdragon 625 chip-set, but also supports 4GB RAM / 32GB / IP67 water and dust proof. Blackberry Motion will be available at a mid-price of $ 400, but unlike the old BlackBerry, it’s a full touch type, so there might not be any advantage over the competition. Previous Entry Watch the Ringke Galaxy Note 8 Cases Through Youtube!